Unfortunately, most women are often faced with the problems of breakage and loss of eyelashes. First of all it is connected with various diseases, and the frequent use of mascara. Currently there is a huge variety of cosmetics for the care and restoration of eyelashes, but even the best of them cannot compare with the effect from the ordinary castor oil. A regular cotton swab or clean brush for mascara. Castor oil pour into the old, pre-washed container for ink. In addition, currently many manufacturers of castor oil for lashes let it out in special bottles with brushes. Apply castor oil on the ends and the middle of the eyelashes. This procedure is recommended every evening for 2-3 weeks. After that, it is advisable to take a break for 10 days. 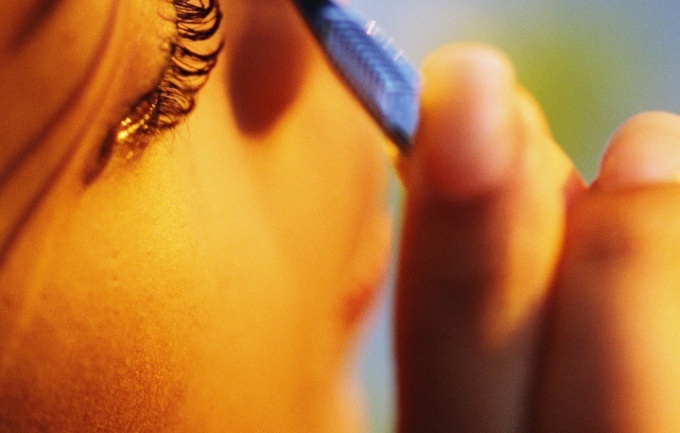 Before applying the oil eyelashes must thoroughly clean dirt and residue from cosmetics. Leave castor oil on the eyelashes at night is impossible, despite the appearance of positive effect. The eyes may swell and redden. So after 15-20 minutes after application of castor oil on the eyelashes must be washed with a cotton swab. In addition, castor oil for eyelashes can be used also in combination with other compounds and drugs: vitamin a, carrot juice, rum (in equal proportions) and aloe juice (in the ratio of 70:30). Castor oil for eyelashes can be applied only to women, the body which is not prone to allergic reactions, as "castor oil" can cause the appearance of irritation and redness of the skin. You must also remember that getting castor oil on the eyes can cause not only irritation, but also unpleasant feeling thin oily veil around the pupil, to get rid of that is not very easy. With regular use of castor oil eyelashes will become thicker, longer and fluffier. In addition, the "castor oil" can accelerate hair growth. Castor oil is a restorative remedy that softens the skin and hair. In addition, it is perfectly absorbed by the skin, does not dry out and not forming a film. The wave of long eyelashes attracts men's views. 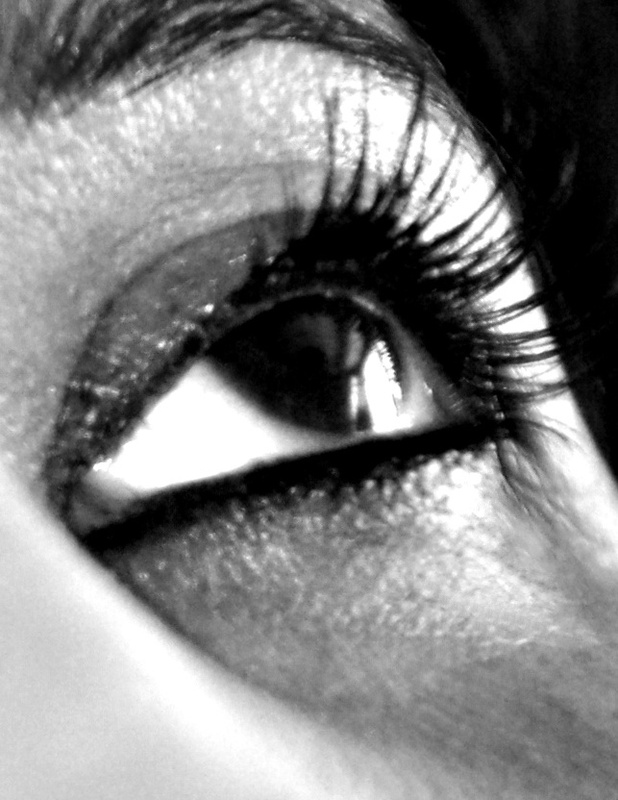 Eyelashes is a feminine adornment, they make the face expressive, and look languid and mesmerizing. Women have long used various tricks to lengthen eyelashes, make them fluffy and voluminous. Currently to achieve this is quite simple with the help of extensions. Disadvantage of this procedure is that after her lashes look thin and weak, so they need to treat. - 1 part fresh aloe juice. - 1 teaspoon of sea buckthorn oil. Use a mask with natural oils. They strengthen the lashes after the extensionsmake them thicker and stronger. Oil is convenient to apply on the lashes using old washed brush from under the carcass. Will fit the following cosmetic oils: grapeseed, wheatgerm, olive, almond, castor, burdock, apricot, peach. Lash care should be carried out every night for a month or longer. The most common and proven method of treatment of the eyelashes after building homemade air conditioner with castor oil. For its preparation you need to mix equal proportions of oil solutions of vitamins A and E, castor oil and fresh aloe juice.Apply the product on the lashes every day before going to sleep. After a week of regular use they will become thicker and stronger. For weakened after increase eyelash useful warm compresses with a decoction of medicinal herbs: chamomile, St. John's wort, cornflower, calendula. In the evening to thoroughly remove makeup from the eyelids, soak cotton swabs into the warm broth and place them on the eyelids. Keep warm compresses for 15-20 minutes. Then apply on the eyelids moisturizer, and eyelash oil restorative conditioning. If the lashes in a very bad condition, use natural Express-means for their recovery. For its preparation you will need dry rose hips, burdock and sea buckthorn oil.Pour the oils of berries of wild rose, placed in a bottle made of dark glass. Leave the oil mixture to infuse in a dark place for a week, after which strain. Nourishing conditioner ready.Burdock oil strengthens the growth of new strong lashes, rose hips strengthens and gives them a silky, sea buckthorn oil accelerates the growth of eyelashes. Do not get carried away with makeup after increasing eyelashes. Since they are thin and weak, the daily coating them with mascara can aggravate the situation even more. If you can not do without makeup, buy quality mascara with vitamins and a soft brush.Gently remove makeup from the eyelids without damaging the lashes. Use moisturizing eye creams that contain vitamins and natural extracts that strengthen the roots of eyelashes. If you for some reason do not want to use natural remedies to restore eyelashes after capacity, then you can buy in the store a good conditioning conditioner with natural ingredients. How to restore eyelashes after eyelash extensions. For several years the eyelash remains one of the most popular procedures in beauty salons. After building they can fall much faster. Strengthen lashes will help castor oil. Within a month it should be applied to the roots of the eyelashes several times a day. To restore the normal growth of eyelash after extension helps peach and almond oil. It may take a while, and again they are replaced with own, that the procedure for their creation become absolutely exhausted. It's no wonder they say that in the name of beauty have to sacrifice something. Here we have bright example of this. As a result, these weak and brittle eyelashes relatives want to recover, what we will discuss today. There are several ways how to restore your lashes after extensions and how to bring them back.